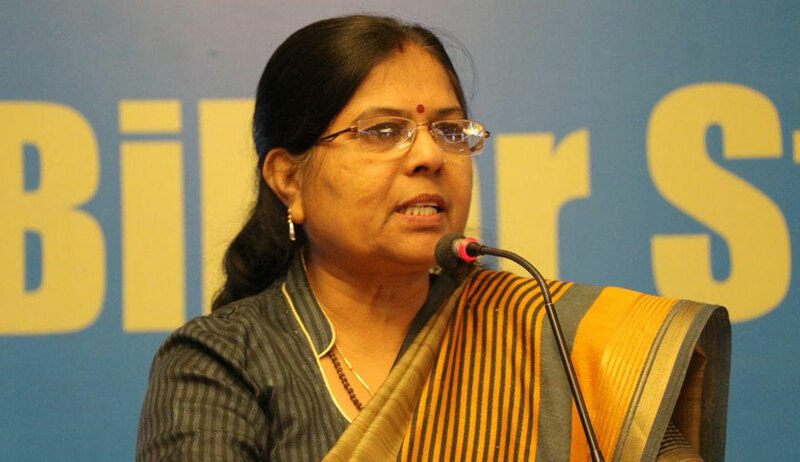 The Supreme Court Monday said it was "quite shocked" that the Bihar police was unable to trace and arrest former state minister Manju Verma, who had stepped down from the cabinet in the wake of the Muzaffarpur shelter home scandal, in a case related to alleged recovery of illegal ammunition from her. At the outset, the bench asked, "Has the lady (Verma) been arrested?" The counsel appearing for the Bihar government said Verma was not arrested yet as the police were not able to trace her. "That is fantastic. A (former) cabinet minister is not traceable. Fantastic. How could it happen that a (former) cabinet minister is not traceable and nobody knows where she is? Do you realise the seriousness of this? You have to explain to us how a (former) cabinet minister is not traceable," the bench said. "You call the DGP. This is too much," Justice Lokur told the counsel appearing for the state. The bench, which posted the matter for further hearing to November 27, also said, "We are quite shocked that a former cabinet minister cannot be traced for more than a month." Shakil argued that the "high and mighty" were involved in these matters and despite the fact that rampant physical and sexual abuse of boys and girls was going on at these 14 shelter homes, no action was taken by the state till date. "There appears to be widespread mismanagement in the shelter homes of Bihar," the bench said and asked the chief secretary of the state to remain present before it on November 27. It also referred to a recent newspaper report that said five girls had run away from a shelter home in Bihar. Advocate Aparna Bhat, assisting the court as an "amicus curiae" (an impartial adviser to a court of law in a particular case) in the shelter home case, said the Child Welfare Committee was not functioning properly in Bihar. "Child Welfare Committee? Even the police is not functioning in Bihar," the bench observed. Verma's husband had earlier surrendered before a court in Begusarai, Bihar in connection with the case related to recovery of ammunition. The top court had last month directed that Thakur be shifted to the high-security jail in Punjab's Patiala from a jail in Bihar's Bhagalpur. On September 20, the court had said it had come on record that Chandrashekhar Verma and his wife were in "possession of illegal ammunition of a fairly large quantity". It is not clear whether they were in possession of illegal arms as well. The court had observed that the CBI, in its status report filed earlier, had noted that an FIR was lodged against Chandrashekhar and Manju Verma. "The affairs of these two need to be looked into, particularly with regard to their procurement and possession of illegal ammunition and availability of illegal weapons, if any. We request the local police in the state of Bihar to look into this aspect with some degree of seriousness," the bench had said in its order.